Nakathila’s biggest challenge so far has been a 12-round WBO Inter-Continental title bout against then world title challenger Evgeny Chuprakov in Russia in late 2016. The heavy-handed Namibian gave a very tough fight to his fellow unbeaten counterpart, leaving the ring with a controversial decision loss that had been admitted by even Russian journalists. The plan of the Namibian contingent is to grab an important win over a fellow WBO top 15 rated opponent and reach out to reigning super featherweight world champion, Japanese Masayuki Ito. “Our intention is clear, we want Nakathila to fight for the world title against Ito after this bout and that is why we opted to fight a world ranked boxer and not just any opponent. We have for long wanted to fight the likes of [Ryan] Garcia and other rated boxers but could not make those deals happen and we would, therefore, like to thank Kovacs for accepting our deal to come and fight in Namibia,” said the promoter of Nakathila, Nestor Tobias in a press conference held in Windhoek earlier this week. “I am excited about this big opportunity. I am confident of a win, but I will not take my opponent lightly. He is a world rated boxer for a reason. I want to encourage the fans to come and experience world-class boxing. 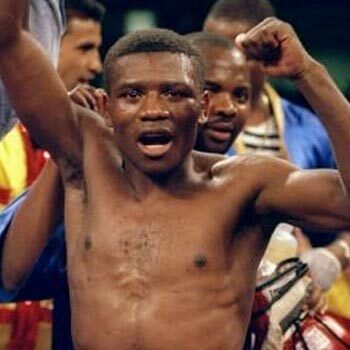 I am mentally and physically prepared and fully focused on this fight,” stated Nakathila. The celebrated show, that was billed as the ‘Independence Legacy Fight Part 2’ as it reflects to the 29st anniversary of Namibia’s independence from South Africa, has a stacked undercard headlined by the return of former world title challenger Walter Kautondokwa (17-1, 16 KOs) against South African France Ramabolu (10-4, 5 KOs) in a ten-round non-title bout. Unbeaten WBO No. 7 rated welterweight contender Mikka Shonena (13-0, 2 KOs) will see action in a title defense of his WBO Africa belt against Tanzanian Shadrack Ignas (16-6-2, 9 KOs). The card will be promoted by Nestor Tobias’s MTC Nestor Sunshine Productions and televised live on NBC. The event will take place at the Windhoek Country Club and Resort in the capital of Namibia.